Size/Dimension: 9" x 12" x 7"
Macmay is a stylish & spacious Hobo bag in Black Faux Leather. Our collection of Vintage HOBO Bags adds a stylish retro touch to the persona of the feminine carrying it. - Hobo bag is crafted from jacquard with zipper closure and adjustrable strap. One back pocket. Two zipper pockets, two patch pockets and pen case inside. Available with us is an attractively designed collection of hobo bags that are appreciated by our customers across the globe for the elegant designs and high aesthetic appeal. Offered in different sizes, designs and fabrics, we can even tailor these hobo bags in accordance with the requirements of our clients. 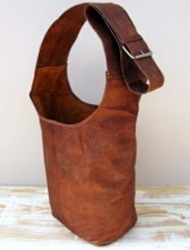 We have emerged as one stop destination for availing exclusive range of Leather Hobo Bags in the international market. The Leather Hobo Bags offered by us are stylish, large and characterized by a crescent shape. These Bags are specially designed to wear over the shoulder. They are manufactured from soft and flexible leathers. Having customer satisfaction as our business mantra, we offer Fashionable Yellow Hobos. It is easy to carry and has a good funky look. These are available in different sizes with adjustable single handle. The plain and yellow color gives a unique identity for these products. 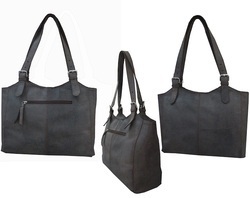 We manufacture these bags using pure leather. Moreover, these bags are fadeless and having good storing capacity.